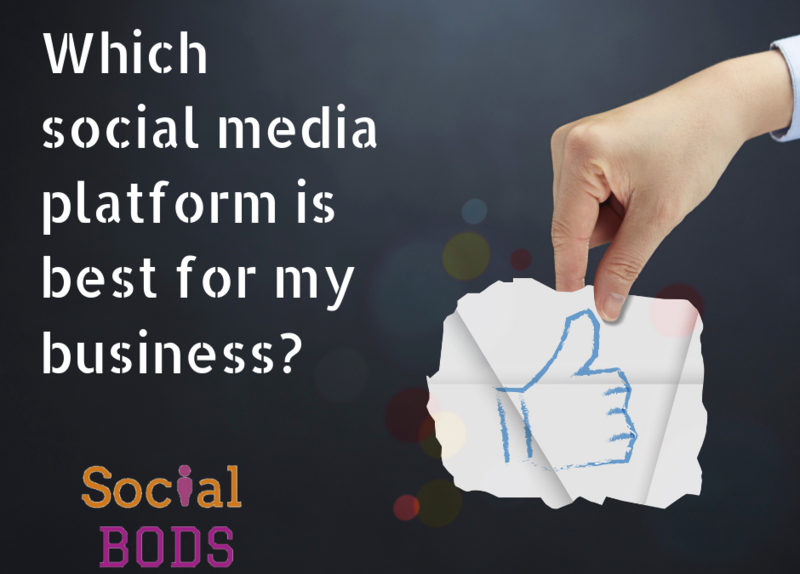 The one question we get asked fairly regularly when people find out that we are social media consultants, is “which social media platform should I use for my business?” It’s not a question to which we can give a straight answer. There are so many things to consider about which is the best for you and your business. Using social media for business can be highly fruitful, and also quite time-consuming. No marketing method is completely free when it comes to your resources, so when choosing to use social media you need to consider the money and time constraints that you have. Can social media marketing be a better use of your resources than your current marketing methods? When we are choosing where to put client resources when it comes to social media, we look at a range of factors, including…….. But the one over-riding factor on making the decision how to allocate resources in social media is this……. Where is the client’s audience? The audience; who they are and where they hang out is the key to finding the best social media network for your business. The start of any marketing journey should always begin with a plan. You need to take the time to sit and reflect on what you are trying to achieve and how you will measure success. A key element of any marketing plan is who your target customers are and how you are going to reach them. Your business might have a very broad customer profile or it might be very narrow. Your customers might be of only one gender, or live in a specific location, or be interested in something in particular. They might be older people, or they might be younger. They could be absolutely anyone at all, but it’s still good practice to have customer personas in mind when creating campaigns, or you run into danger of appealing to everyone all at once but no-one at all. An understanding of who will buy your products or be interested in your services is an absolute must, so take some time out right now to get your customer personas into shape. If you have information about who your customers are, that’s a great starting point – look at the data! You might think that your service should appeal to older male professionals, but find that actually most of the orders come from younger females. Find out why, and ask yourself how you can widen your net to more of the same. If you haven’t got any customer data, then you need to delve deeper and think harder – who would use and like your product? Who would make the purchasing decision? Who is actually holding the purse strings? Once you have a good idea of who you want to target, then it’s a matter of aligning the persona with the headline demographics of each social media network. Here, we outline the main social media networks, who tends to use them, and how that platform works. Facebook is probably the widest reaching social network of them all. It has more daily users than any other platform, and in the UK, more than half of over 18s have a Facebook account – if you meet someone on the street, it’s more likely than not that they use Facebook in some way. One of the fastest growing demographics on Facebook has been the over 65s. However, younger people aren’t as quick to adopt Facebook, preferring other networks such as Instagram or Snapchat. Facebook is seen as the place for older people and it’s not the cool space online it once was. While you will reach plenty of younger people on Facebook, it is worth checking out other networks that might align more with your brand image. Facebook has a reasonably good split of males and females though and is probably the most representative social media network overall. Facebook can be very hard work to get any sort of reach and engagement, though it is good if you are prepared to pay for advertising; the targeting options are very helpful and value per lead can be much better than other forms of advertising, such as Google Adwords or print advertising. Much fewer people are on Twitter than on Facebook, but it’s still a significant number; there are more than 330million active users globally. The reason we like Twitter over Facebook for some of our clients is the sheer ease of use. For B2B businesses especially, Twitter is a great tool for building networks and reaching out to others through following and interacting, something that is very difficult with a Facebook business page. Twitter again is a reasonable split when it comes to gender, but it tends to attract a younger, better educated, more affluent crowd. It’s easy to find people to follow and reach out too – everyone has a bio which when used well, can be searched. Twitter is great for finding people who talk about particular topics – all public tweets are searchable for the long term. Instagram, as my mum would say ‘is like Twitter but with photos, and mum would be right. Instagram has seen significant growth over the last few years. It is fully owned by Facebook but attracts a very different demographic. Instagram is popular with younger people, particularly females, but all ages and genders are growing on there, and there is a thriving Instagram community for almost every interest. Instagram is good for checking out fashions, and travel, and the focus is very much on a glamourous lifestyle, though less glamourous brands have been doing some great things with Instagram. Instagram is great if you live in the moment. It’s harder to pre-plan Instagram content and the platform and technology really is set up for ‘there and then’ imagery and captions. LinkedIn is the oldest social media network out of the main four, though the numbers are yet to rival Facebook. LinkedIn is a professional networking site and it has a very different feel to the other social networks. It’s perfectly ok to talk about your business over here – in fact, that’s the whole point; people would rather know what qualifications you’re working on and your businesses successes (and occasional fail) than know what you had for breakfast or that you very much like watching cat videos. If you don’t want a brand page over here, then don’t. You can promote your business through your personal profile just as easily and actually to greater effect. In terms of audience, LinkedIn attracts older professionals and is the one social media network where men outnumber women. Users on LinkedIn tend to be influential in their field, have higher education levels, and higher disposable incomes. If you’re looking to sell a Ferrari or professional services, LinkedIn is where you want to be. While exact numbers on users and usage are not available, this table might help you compare each network. 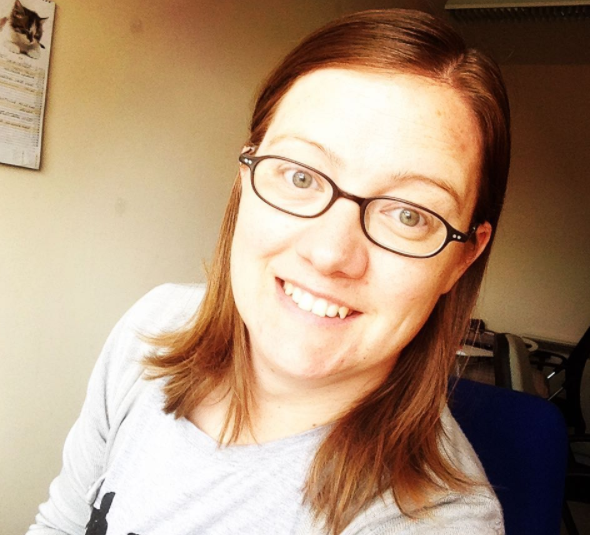 So which social media should you use for your business? See which set of statements most apply to you and your business and this will help you make a decision. To which of the above set of questions did you identify with the most? This is the one you should be checking out first, though you need to consider the resources that you have to promote your brand. If you have unlimited resources then a good plan would be to throw yourself into all four and see how you go. A bit of trial and error and you’ll soon see where your efforts are best focussed. So which social media network should you be on for your business? The first and foremost consideration should always certainly be which networks your target audience are using in big numbers. That’s not to say that personal familiarity should not be important as an influencing factor – I always maintain that you will get more from a network if you know how to use it properly BUT if unfamiliarity is stopping you using the network you really think you should, then get familiar! You’ll soon pick it up and if it’s the best network for your business, you will start to see results. You can always improve your skills over time. And no, Google+ is not included; it shut down in 2019 for good. Have a look through each of these networks and see if you could make them work for you and your business. 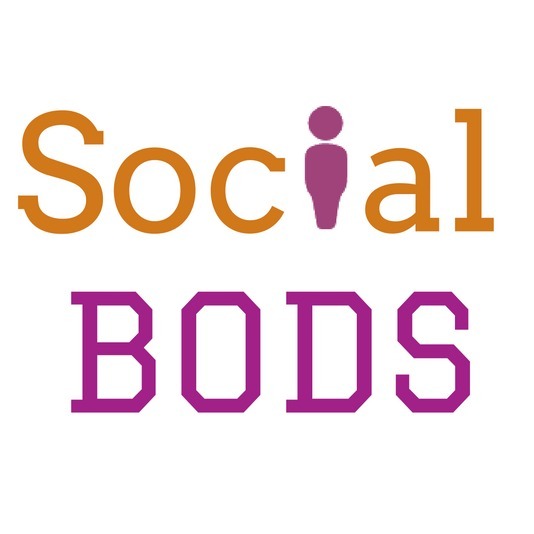 Joanne Brady is chief Social Bod and a huge fan of Twitter. She is currently two days deep into the Easter holidays and running on empty. Send chocolate.